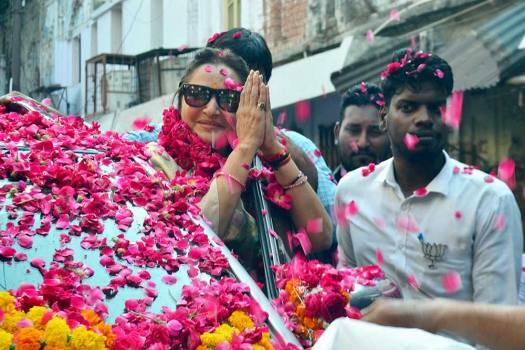 BJP parliamentary candidate from Rampur, Jaya Prada, greets her party workers during an election rally ahead of the Lok Sabha elections, in Rampur. 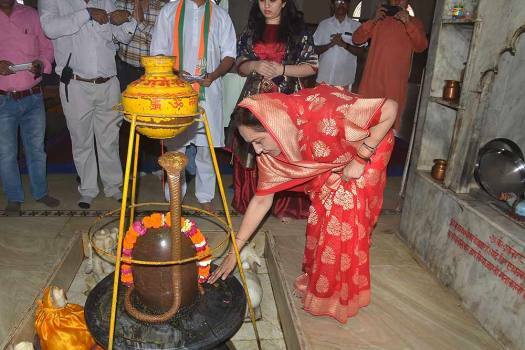 BJP parliamentary candidate from Rampur Jaya Prada offer prayers before filing her nomination for the upcoming Lok Sabha polls, in Rampur. 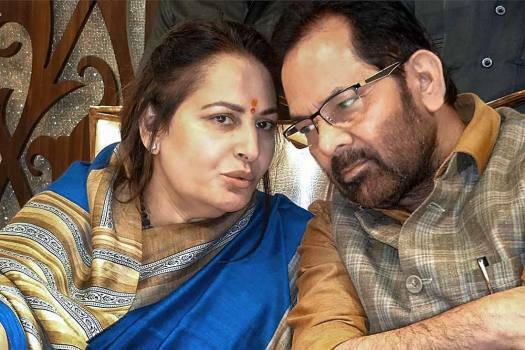 BJP parliamentary candidate from Rampur Jaya Prada with Union Minister Mukhtar Abbas Naqvi arrives to file her nomination for the upcoming Lok Sabha polls, in Rampur. 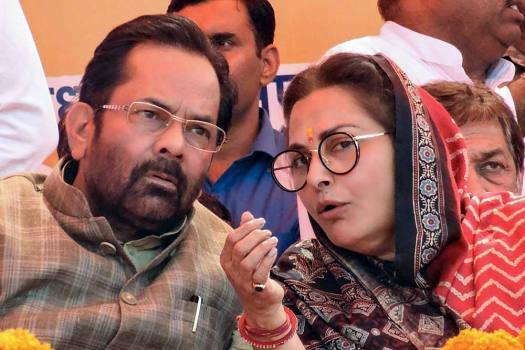 Senior BJP leader Mukhtar Abbas Naqvi and Lok Sabha Rampur Candidate Jaya Prada in Rampur. 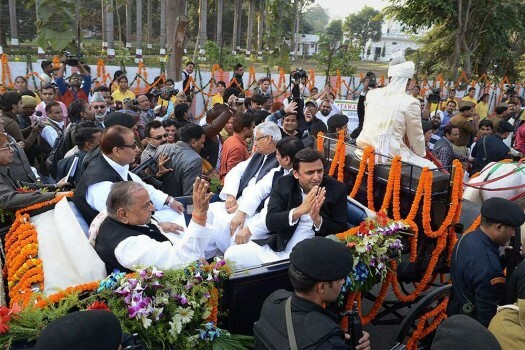 BJP candidate Jaya Prada being welcomed by the supporters on her arrival in Rampur. 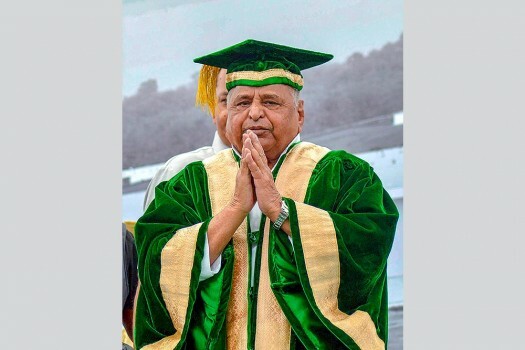 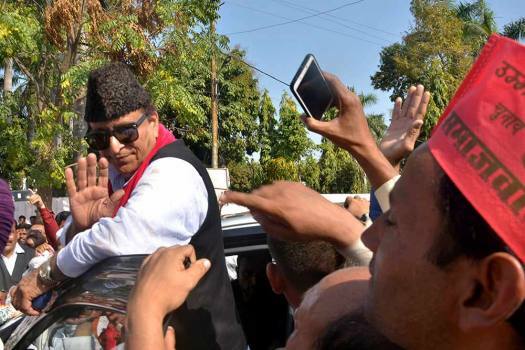 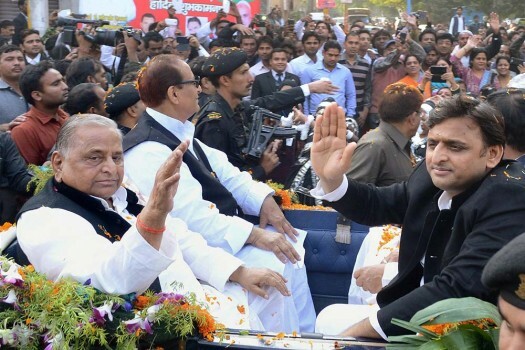 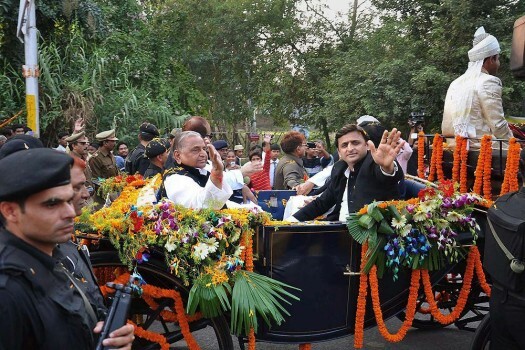 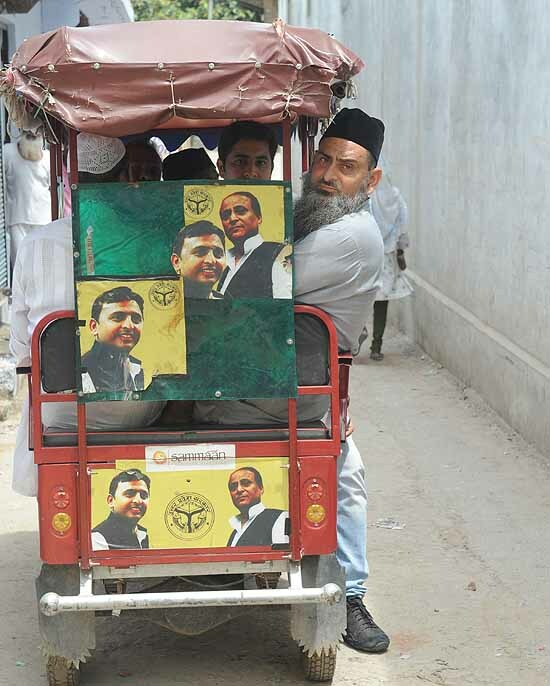 Samajwadi Party founder Mulayam Singh Yadav at the first convocation of Maulana Mohammad Ali Jauhar University in Rampur. 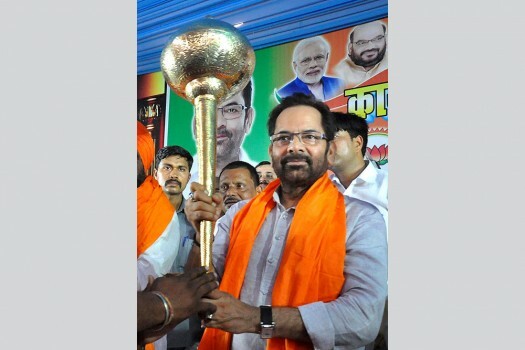 BJP leader Mukhtar Abbas Naqvi during a felicitation function in Rampur. 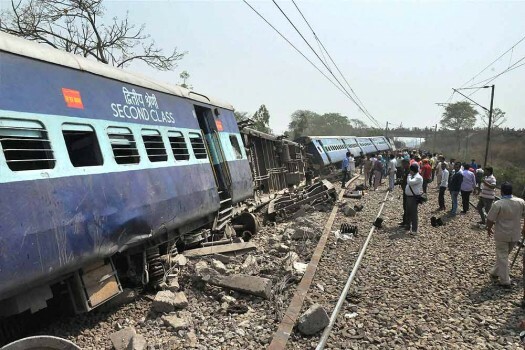 Coaches of the Meerut-Lucknow Rajya Rani Express which derailed near Rura railway station, in Rampur, Uttar Pradesh. 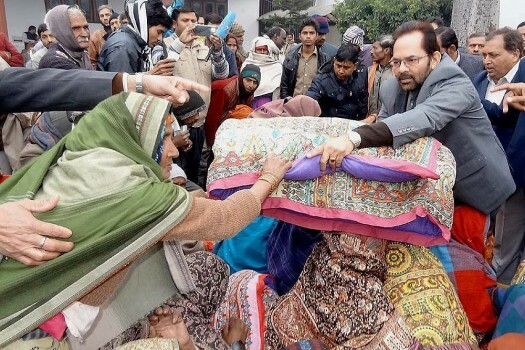 Minister of State for Minority and Parliamentary Affairs Mukhtar Abbas Naqvi distributes blankets and quilts on the occasion of Makar Sankranti in Rampur. 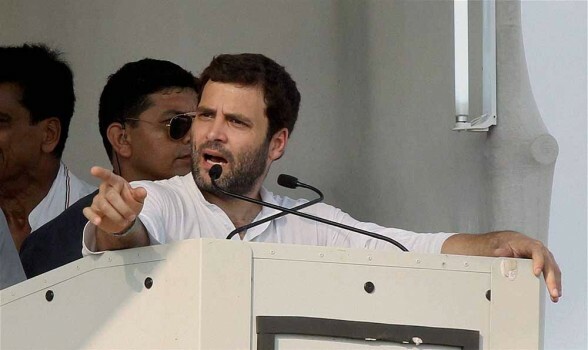 Congress Vice President Rahul Gandhi addressing his 'Dhanyabad Rally' in Rampur. 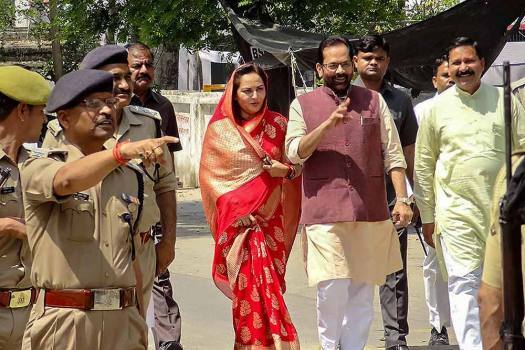 Police try to stop MP Jaya Prada during a protest march against hike in fuel prices in Rampur. 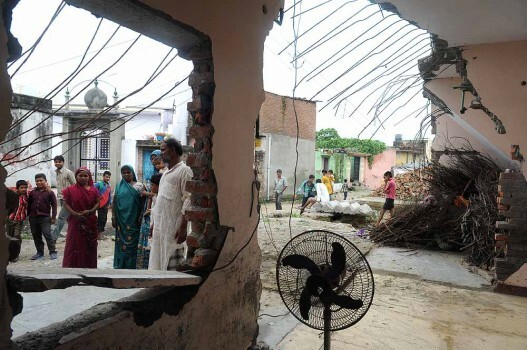 MP Jaya Prada listening to the problems of a widow during a programme in Rampur. 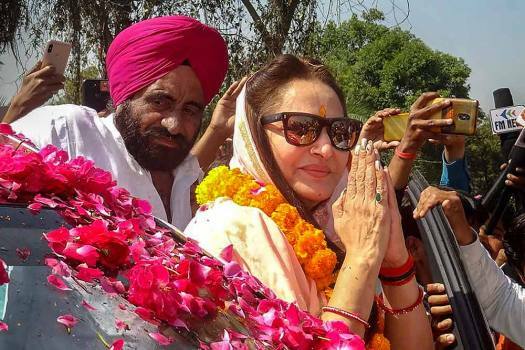 MP Jaya Prada greets people after the inauguration of a road in their colony in Rampur.